Sir Terence David John "Terry" Pratchett (28 April 1948 – 12 March 2015) was an English author of fantasy novels, especially comical works. He is best known for his Discworld series of 41 novels. With more than 85 million books sold worldwide in 37 languages, Pratchett was the UK's best-selling author of the 1990s. 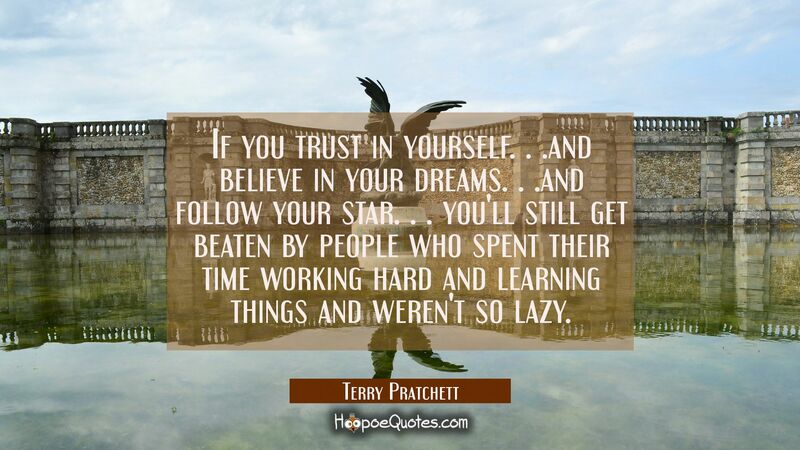 Enjoy the best Terry Pratchett picture quotes. Read more about Terry Pratchett on Wikipedia. the site is amazing I loved your posts, really grateful!